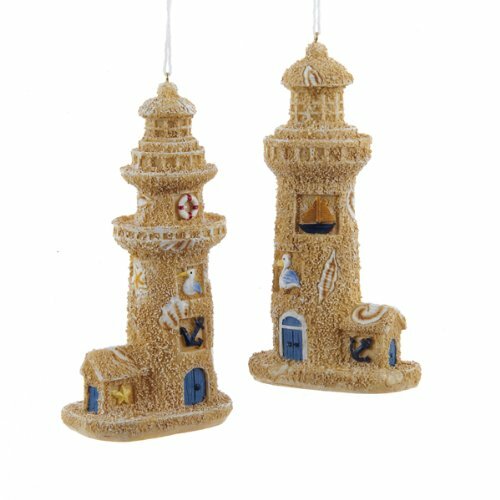 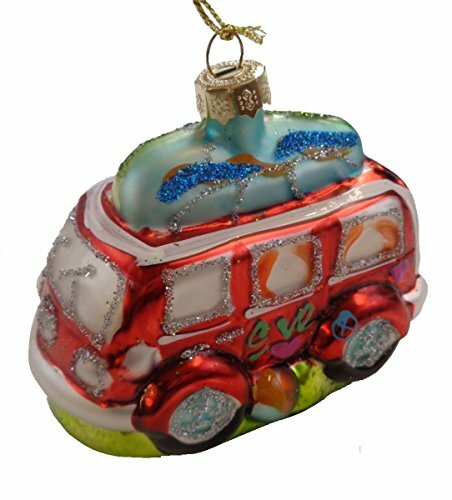 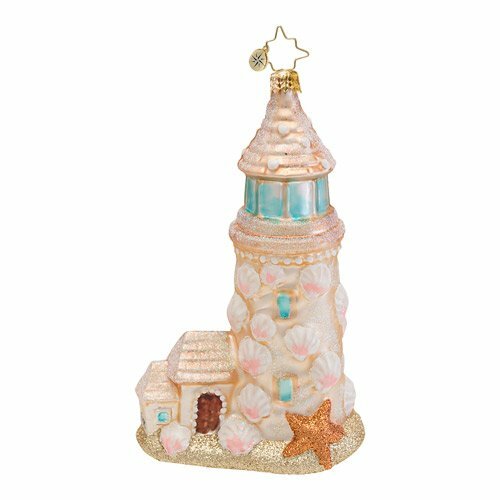 Beach themed Christmas tree ornaments are great for decorating your tree at the beach house or the beach cottage. 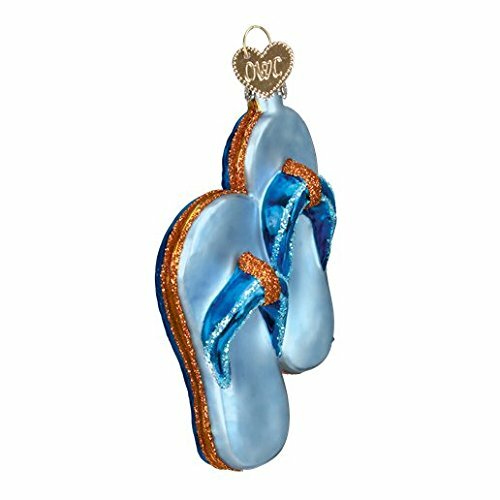 Decorate the Christmas tree with ocean sea life, surfboards, and flip flops. 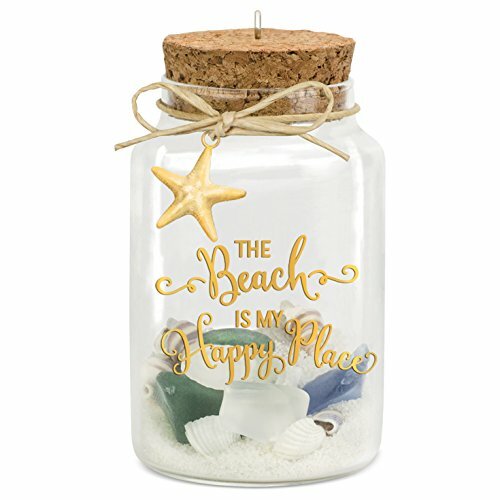 Maybe you don’t have a beach house but you just love the beach. 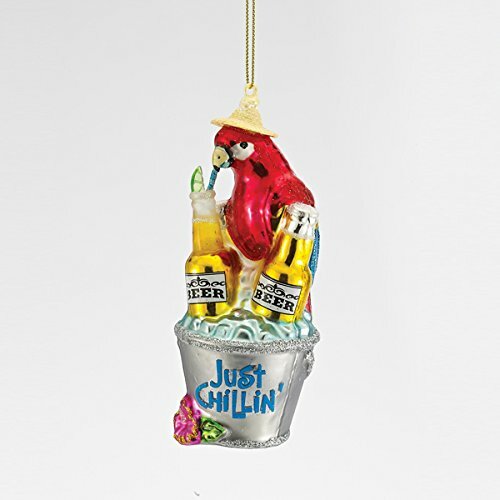 These beach themed Christmas ornaments are for you too. 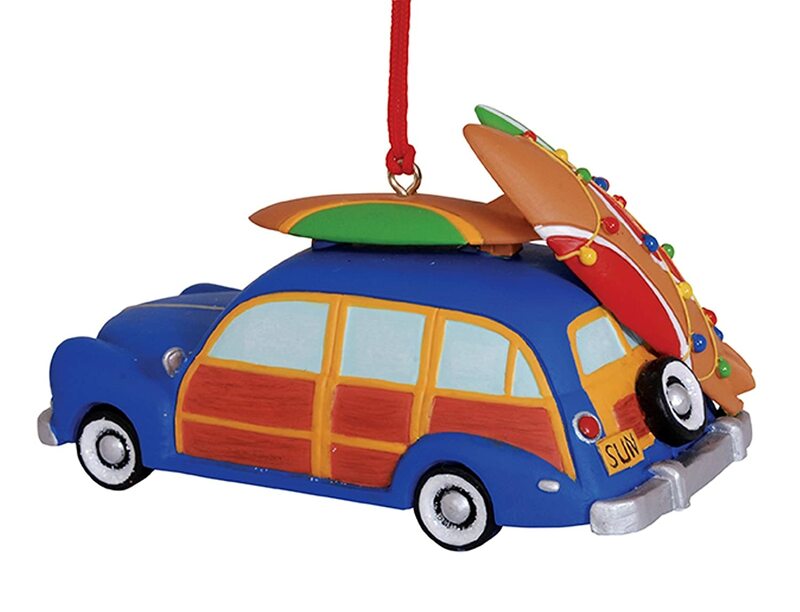 You can have a retro woody with a surfboard on it, beach bags, or wonderful sea creatures. 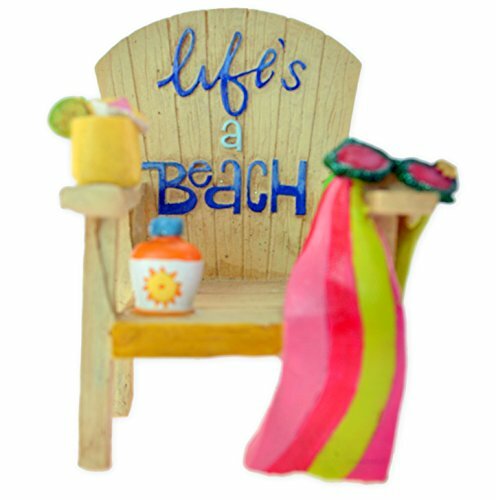 There are any number of great beach ornaments that will remind you of wonderful summer days at the shore. 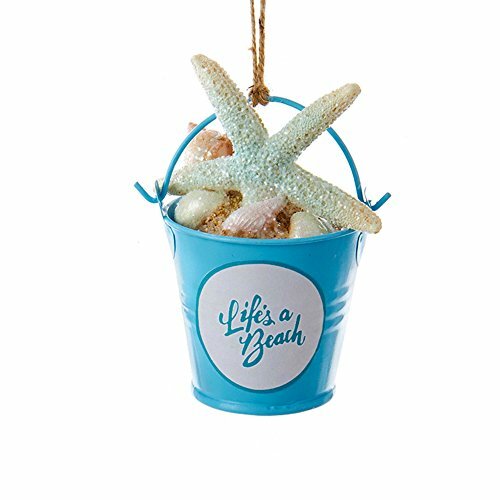 Those days of surfing, swimming, working on your tan, meeting friends, and making friends are all symbolized by beach Christmas ornaments for your tree. 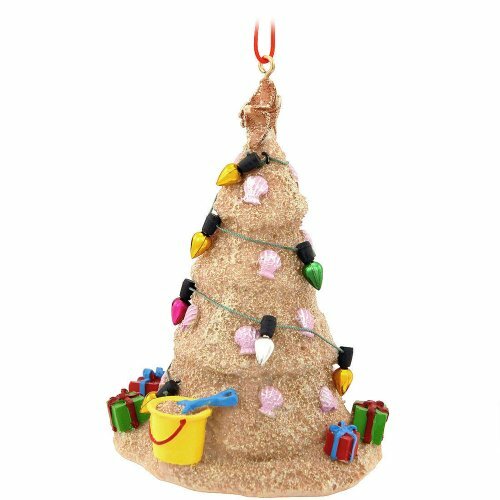 It would be fun to decorate a Christmas tree in a beach theme. 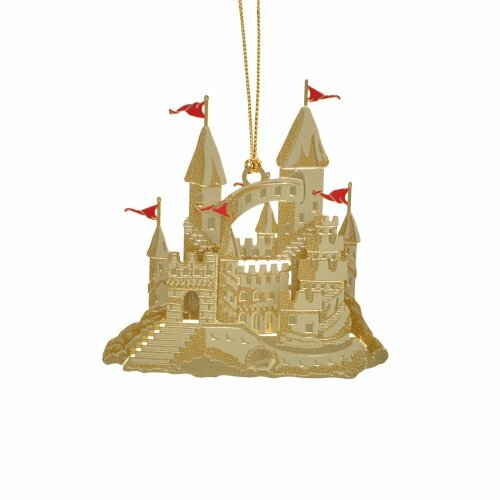 It could be a tree of memories. 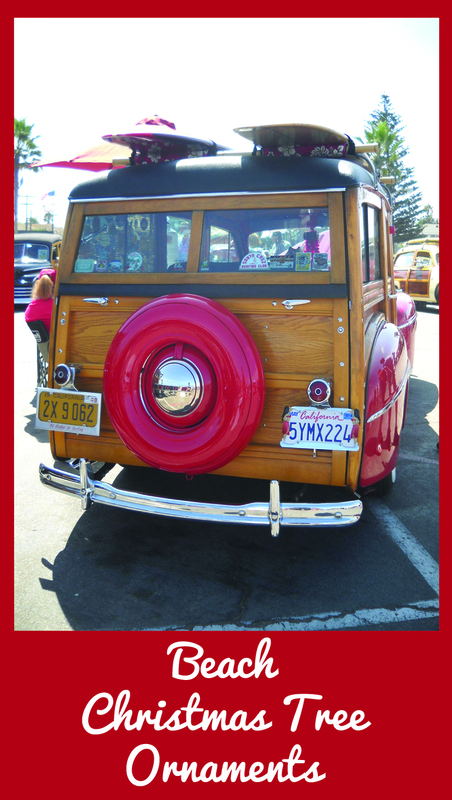 If we’re talking California beaches then we must have a woody and a surfboard. 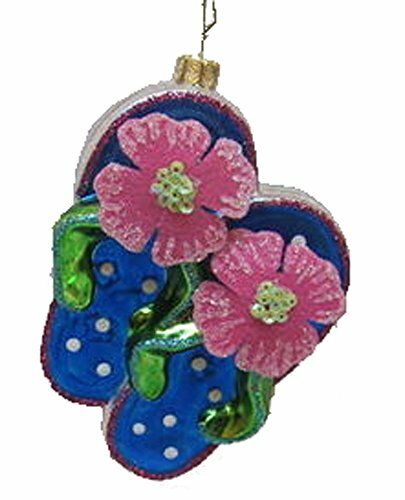 We have some great ones here to choose from. 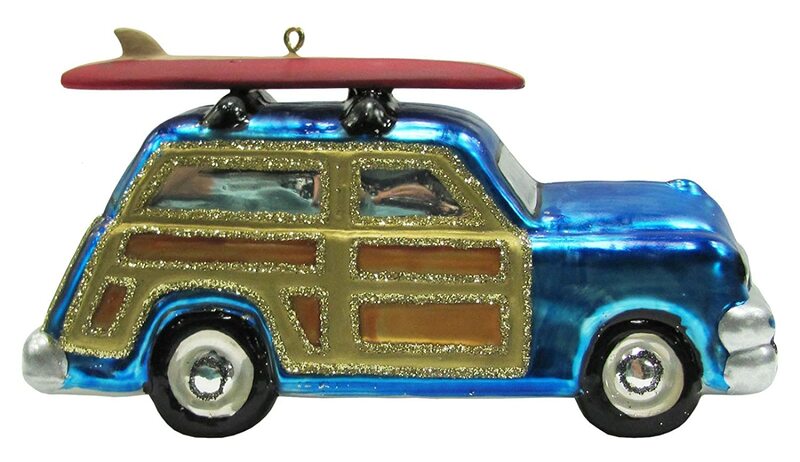 We even have a VW bus with a surfboard. 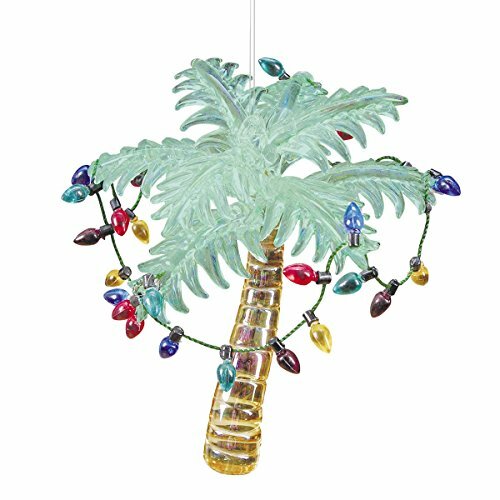 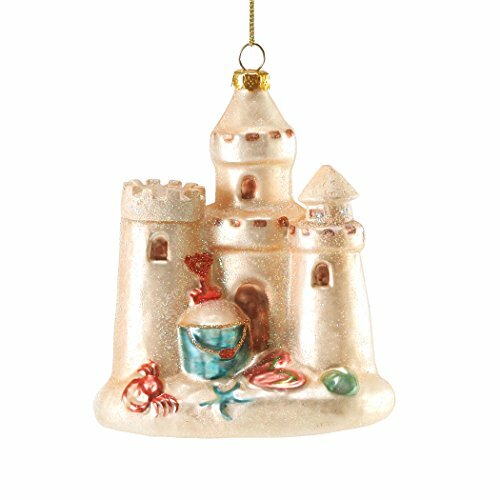 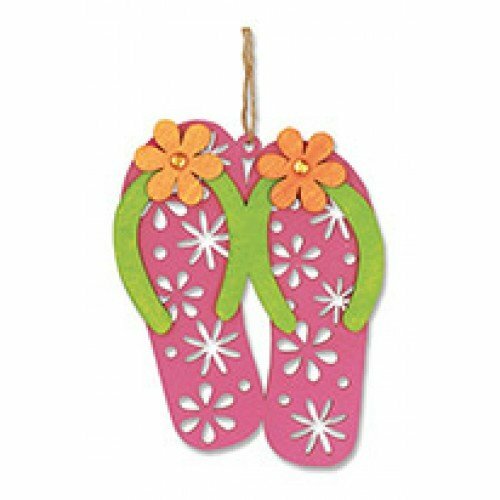 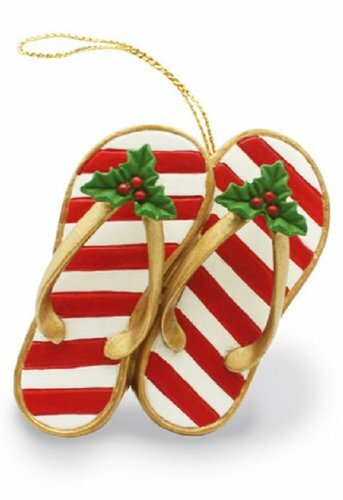 Bring back memories of fun days spent at the beach with beach style Christmas ornaments. 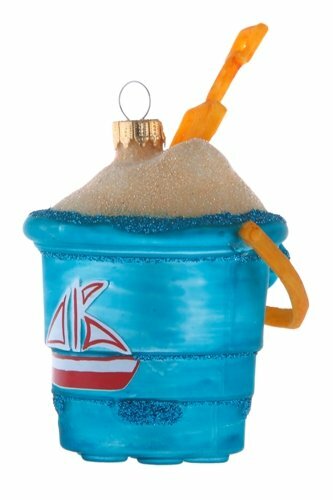 Can you hear the Beach Boys music playing? 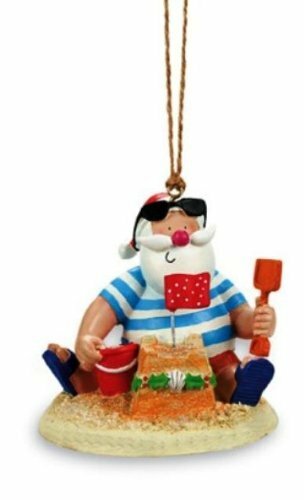 An assortment of beach themed Christmas tree ornaments that might remind you of your time on the beach. 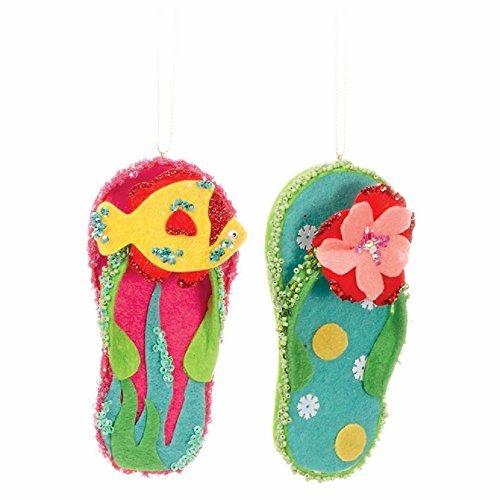 These make great little gifts too. 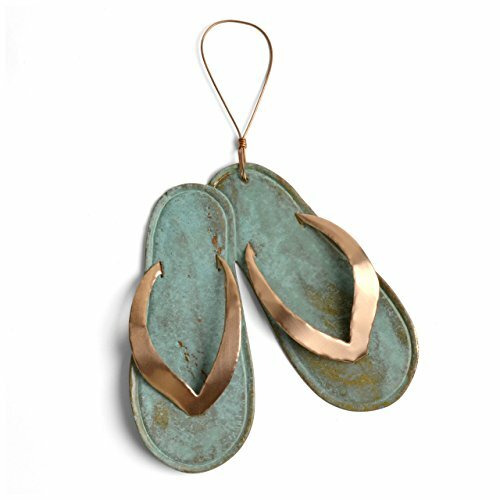 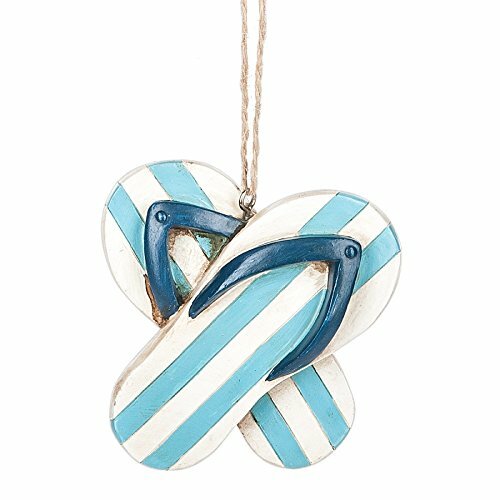 What could be more representative of the beach than flip flops? 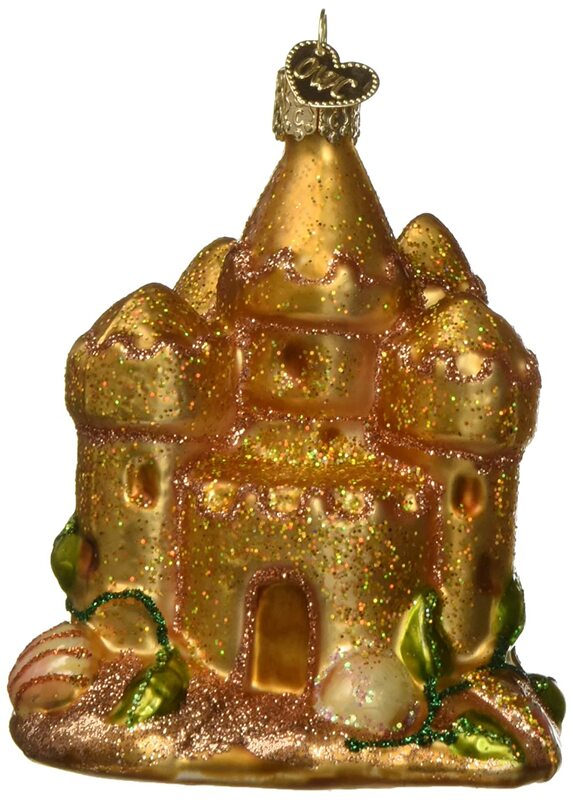 Some are Old World style blown glass and some are wood. 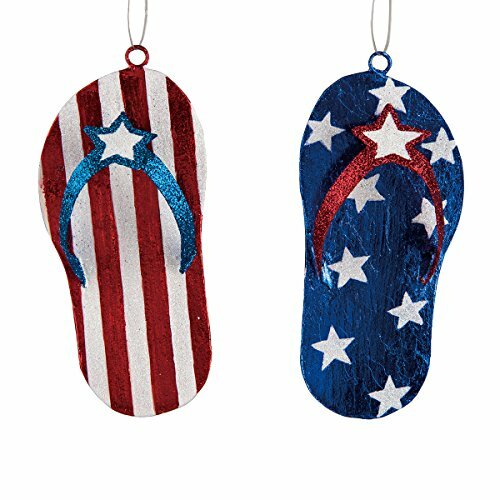 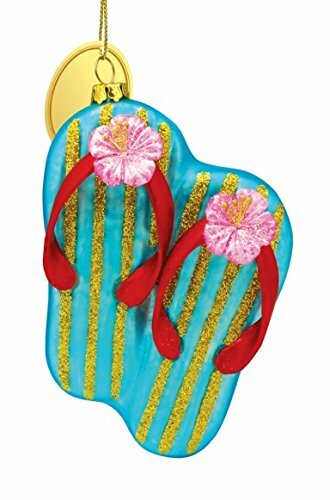 If you’re doing a beach themed tree you can’t forget the flip flops. 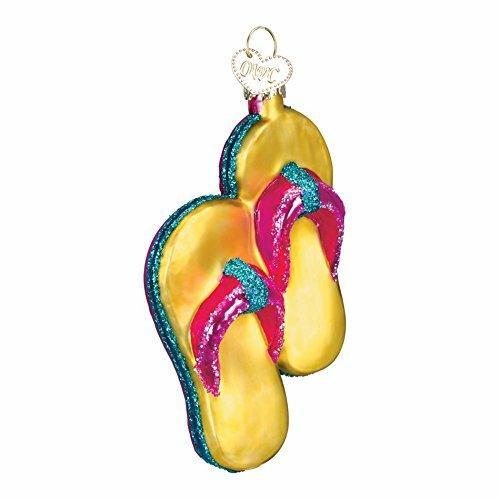 These are colorful and will really show up on a Christmas tree. 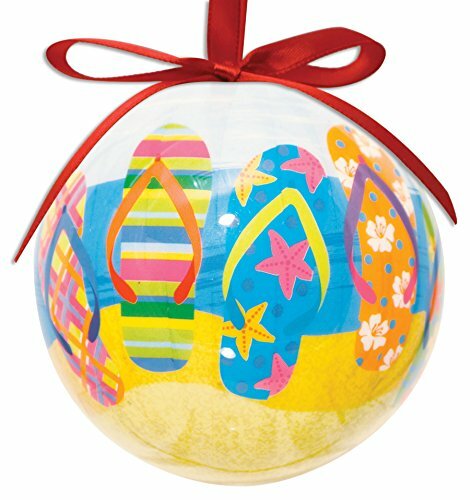 Such cute beach bags to decorate your tree. 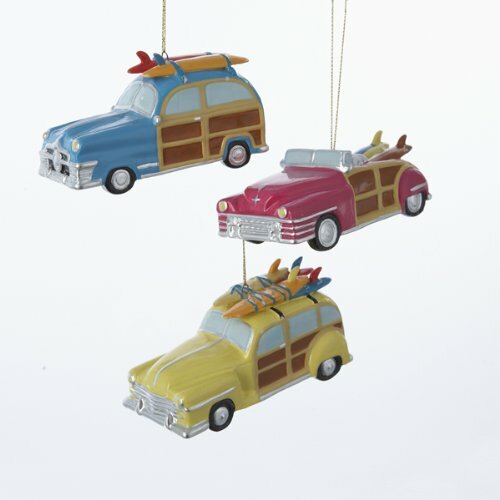 These beach themed Christmas ornaments will add a lot of character and interest to your tree. 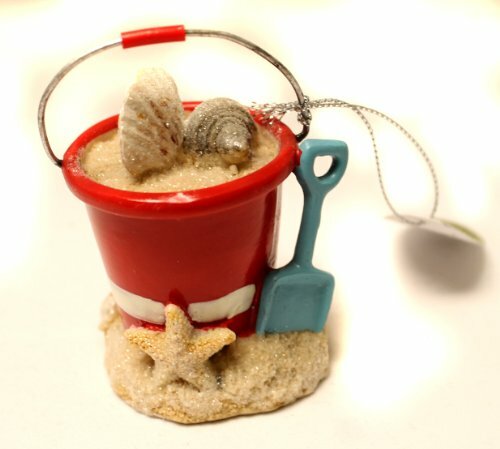 Don’t you take a bag when you go to the beach? 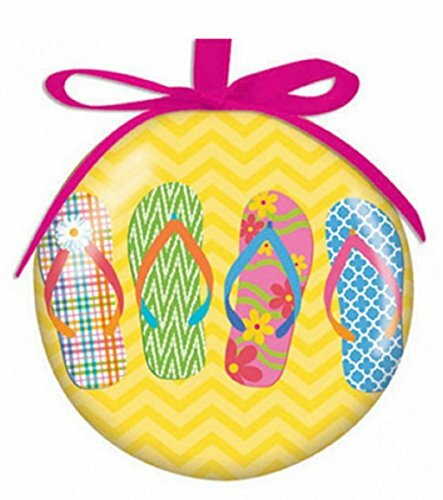 I find a beach bag to be a necessity for holding my sunscreen, towel, book, hat, sunglasses, beach cover-up, car keys, and maybe some snacks. 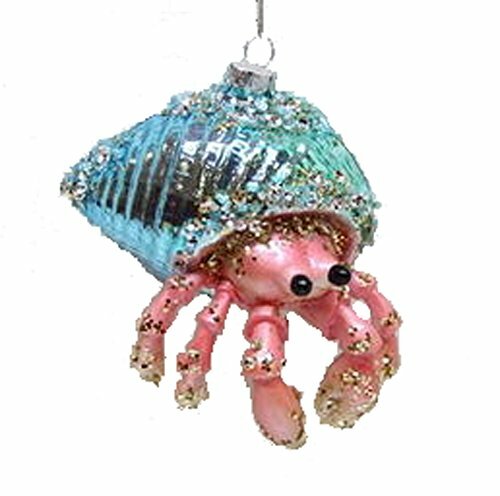 These beach inspired Christmas ornaments are great for gifts or for your own Christmas tree. 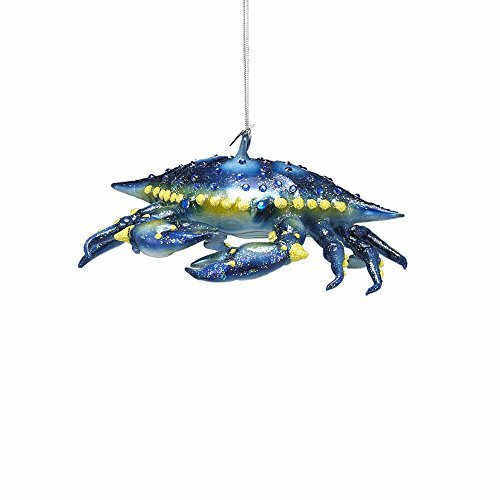 Crabs are interesting characters and as such have been the subject of cartoons and animated movies. 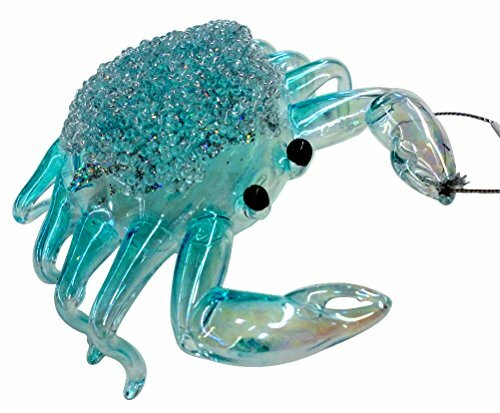 Who can forget the crab character in The Little Mermaid movie? 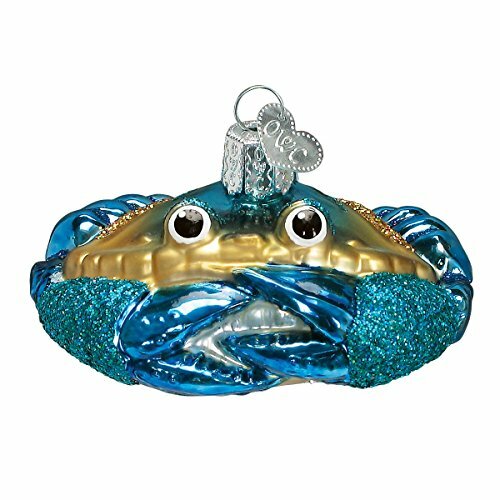 If you’ve ever watched documentaries about crabs you know that they are funny and fascinating creatures. 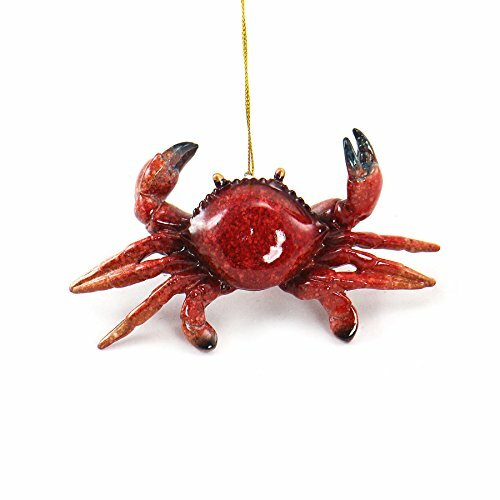 Crabs are something often seen at the beach and these are really cute ones. 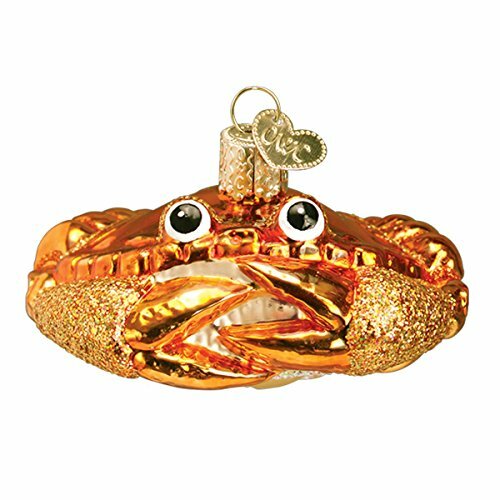 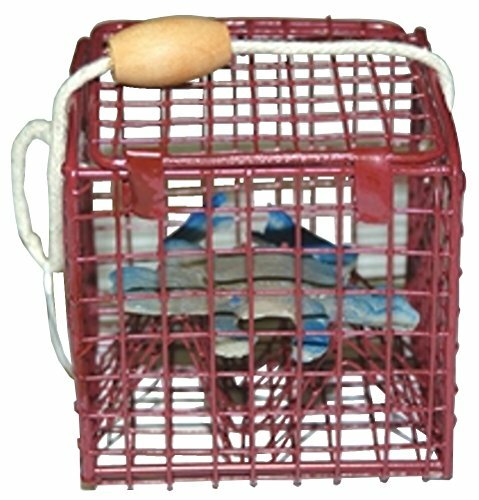 Choose from hermit crabs, crabs decorated in Christmas lights and more. 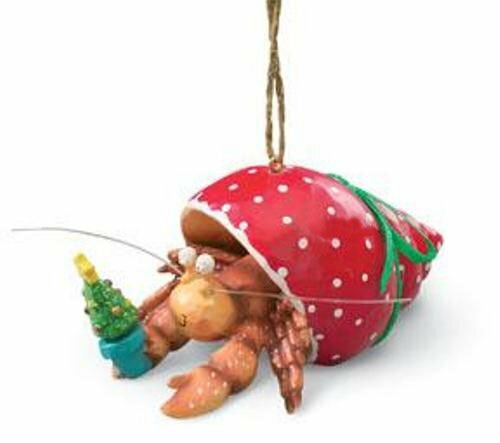 A crab ornament on the tree would be fine but I’d rather have one in a pot on the stove! 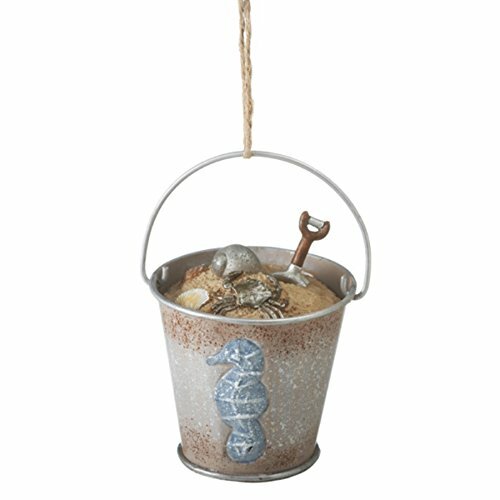 A beach bucket is a common sight at the beach. 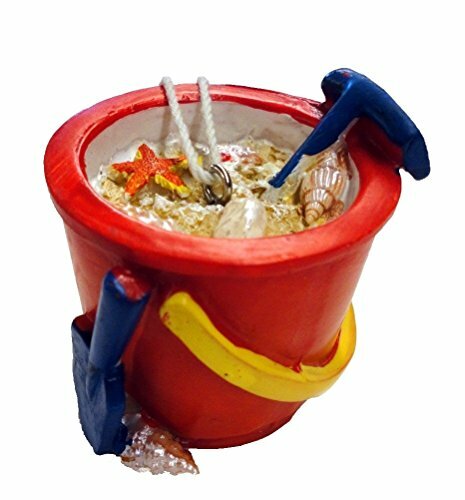 Little kids love their beach buckets, shovels and other beach toys. 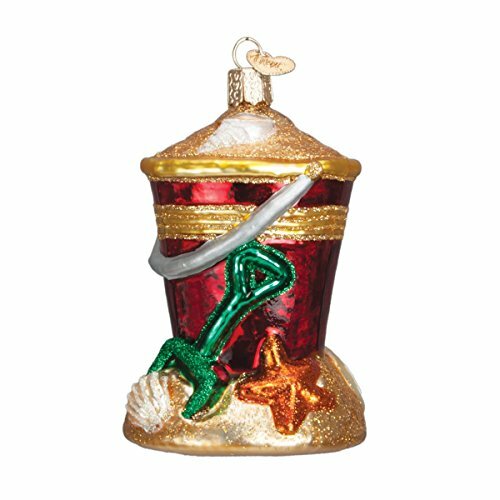 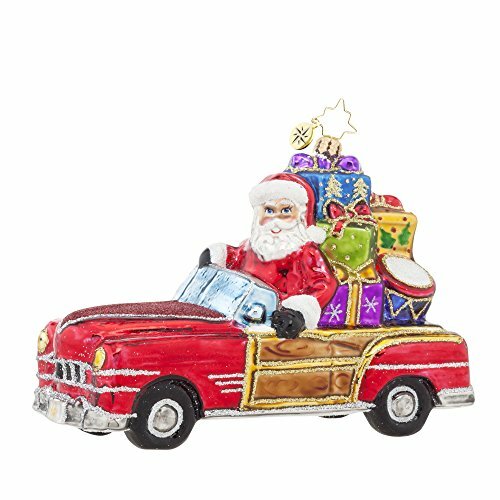 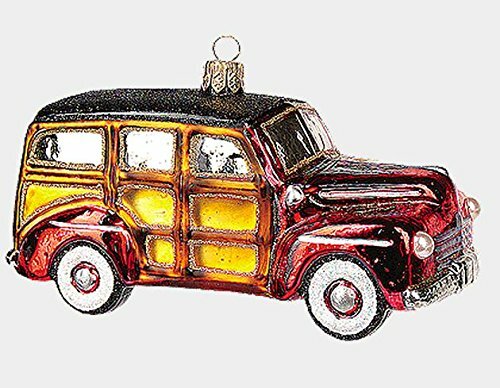 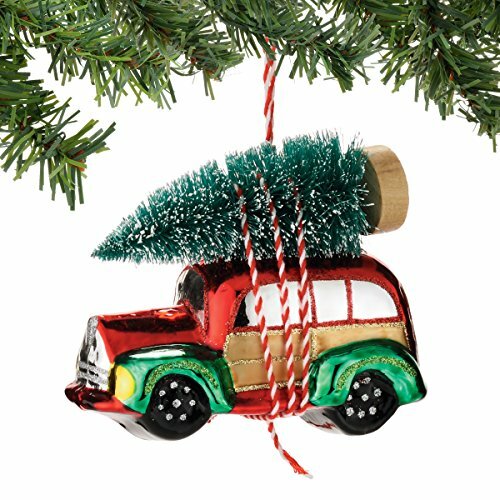 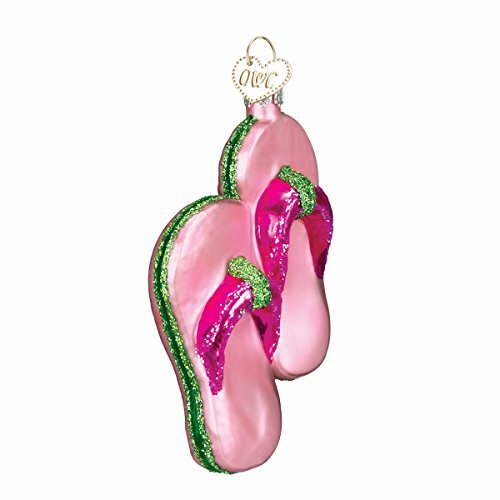 Bring back memories of childhood vacation and fun at the beach with beach themed Christmas tree ornaments. 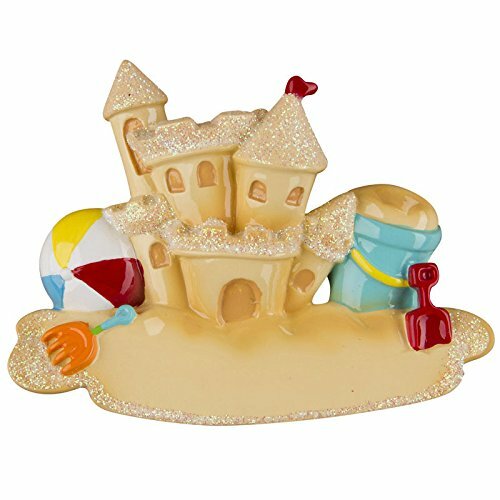 A day at the beach would hardly be complete without building a sandcastle or two. 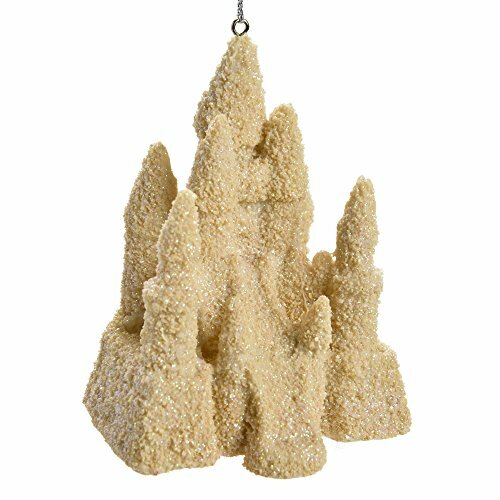 Just digging holes in the sand is fun too. 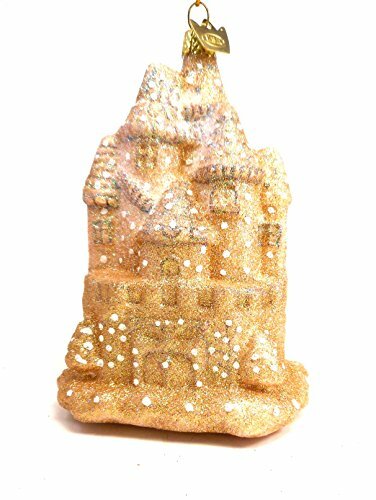 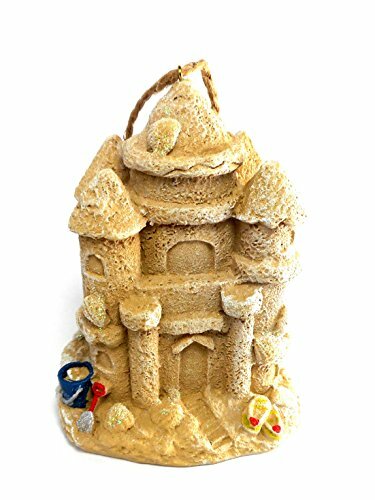 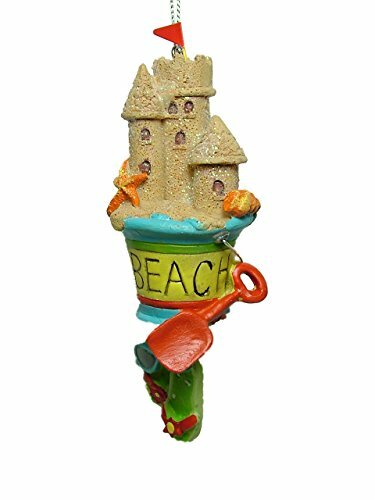 Beach themed Christmas tree ornaments includes sandcastles!